*The Lo40K39d comes in two parts. The power supply is on the top, and the transmitter is on the bottom in this photograph. *The d version operated approximately in the 20 meter to 80 meter bands (3.0-16.667 mc/s). *It had a frequency accuracy of plus or minus 1-2% (+/- 3-x-106). *In the type VII/C U-boats, the transmitter was kept in the listening/sound room. In the type XXI boats, it was located in the radio room. *The Lo40K39C transmitted in Morse Code only; it could not make voice transmissions. *It was often paired with the Radione R3 receiver. 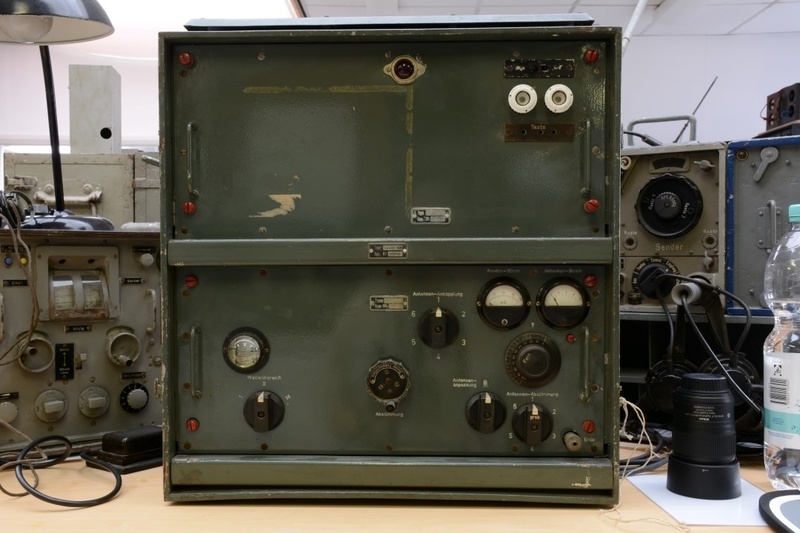 *This radio also used the same galvanized steel 12.5 mm "jumping wire" antennas as the S406 transmitter. In case of poor conditions, a vertical antenna could be used.